At Total Clean UK, we are renowned for delivering a uniquely personalised service that is tailored to your requirements. 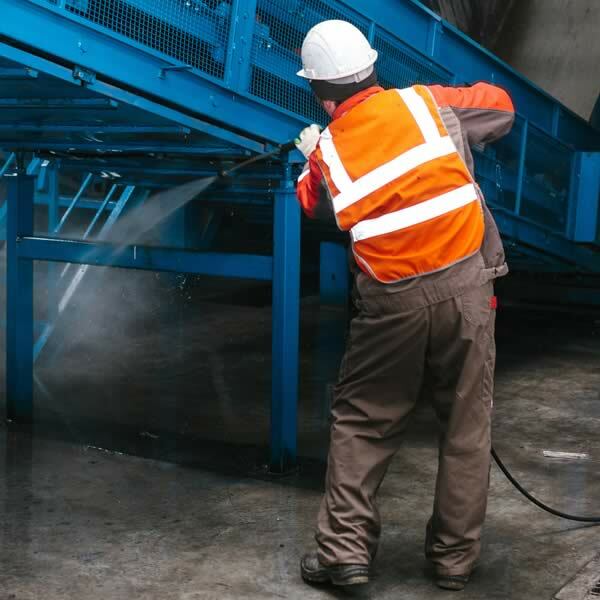 When we are invited to tender for a contract, not only do we listen closely to your needs and expectations, but we also take a proactive approach, bringing our many years of experience to bear and informing you of all the latest cleaning technologies we can use to bring your workspace to its optimum condition. We always put a strong emphasis on teamwork and efficiency, so our first priority is to make sure that all of our staff are experienced, reliable and qualified up to NVQ Cleaning Services Level 1 & 2. We also make sure that new staff are all fully trained in the latest safe working practices in accordance with all the current relevant legislation. Our staff are used to working in all kinds of different environments, which means we can cater to every type of business in an infinite range of industries. We make sure to provide all the cleaning materials and machinery as part of a standard contract, ensuring we use only the best cleaning materials and chemicals for the job. Furthermore, we comply with all the latest COSHH regulations (Control of the Substances Hazardous to Health Regulations), and we ensure that all materials have been assessed according to these standards where applicable. We are 100% committed to conducting our business with honesty and integrity, and to delivering a service at a consistently high level of quality aligned to the needs of your business. Why choose Total Clean UK? Keeping your commercial workspaces clean is crucial for many reasons. The health of everyone that works there and visits your premises is clearly of paramount importance and it’s important that you have a regular cleaning regime to keep on top of this. Having a robust cleaning regime in place will significantly reduce staff days lost to sickness which, in turn, will make your company more profitable.